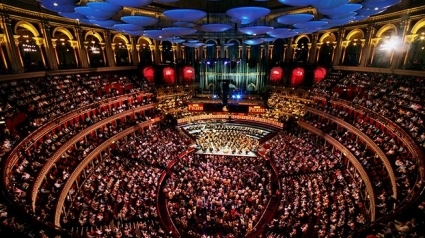 WOAPA's choir from Witney will be performing at The Royal Albert Hall, London in November. Joining 'The Really Big Chorus', members of the Witney Singing Group will be taking part in Handel's 'Messiah' at the performance on Sunday 30th November 2014. "This is a very big departure from our usual repertoire - but a wonderful challenge for those taking part" Said WOAPA Principal, Brian Conroy. "Our usual set-list is a very modern one - which is part of our unique attraction and is why our singing group in Witney has been so popular, with a current membership of over 80 people. However, we offered the opportunity of singing something more classical to our members, and were delighted that so many people opted in to attend separate rehearsals just for this performance. We now have a whole coachload of people travelling up to London! It will be a great way to kick-start the festive season". "Some of our singers had never sung in front of an audience before they joined us. WOAPA has built their confidence: they have made new friends, and now, here they are singing at one of the most prestigious venues in the world. We are constantly aiming to stretch boundaries as well as making our sessions loads of fun. There's always lots of laughter going on!" Tickets for the performance will be available direct from the box-office at The Royal Albert Hall. If you would like to join our Adult Singing Group in Witney, please contact us to arrange a FREE taster session. Our members come from all across Oxfordshire - Chipping Norton, Oxford, Carterton, Woodstock, Eynsham, Burford & beyond!